Udupi June 15,2016: A speeding car claims life of truck cleaner on National Highway 66 at Uchila.The accident occured on June 14, Tuesday at night around 10 pm. The deceased is identified as Manju, a truck cleaner. A resident of Kudligi in Bellary District. It is learnt that Manju and the truck driver were crossing the road after having their dinner at a hotel in Uchila . 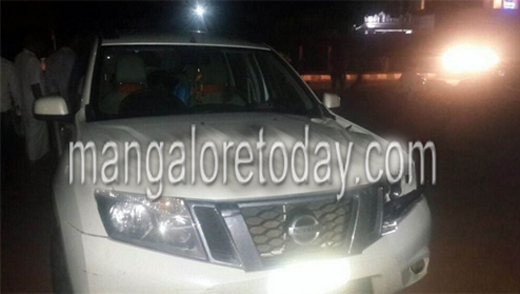 A speeding Nissan car pyling from Udupi towards Mangaluru knocked Manju. He was seriously injured and died on the spot. The Padubidri police are investigating the case.